With a confusing array of competing vendors and solutions available in the market, buyers are increasingly turning to analysts for help in short-listing suppliers. But what impact will that have on the number of enquiries to your business? In this insight we discuss some of the requirements of working with analysts. 1. Analysts are credible, well more credible at least than your own marketing. It can be quite disappointing to review the methodology involved in some analyst reports (for example, sample sizes of 20-30 are not unusual in many of their surveys) however generally speaking they carry a badge of distinction. 2. Analysts are good at reducing risk for the buyer – something that in these shaky times is important. They are also good at reducing the cost of the purchase, for example by narrowing the field initially, or by hammering out the best possible deal from the short-listed vendor(s). 3. Analysts are good web marketers – do a key word search on the web for your industry and it is likely that analyst reports will appear. That means your customers are likely to be finding them too. 4. Analysts save buyers time by analyzing the market, profiling suppliers, interpreting the buyer’s requirements and short-listing qualified suppliers. Imagine the time required to evaluate with and meet 5, 6 or 8 vendors, compared to a short list of two carefully chosen suppliers. The analyst acts as a buffer between the buyer and the vendor’s marketing efforts, acting as a gatekeeper and keeping sellers at at distance. Buyers are faced with an increasing array of competing technologies and solutions. 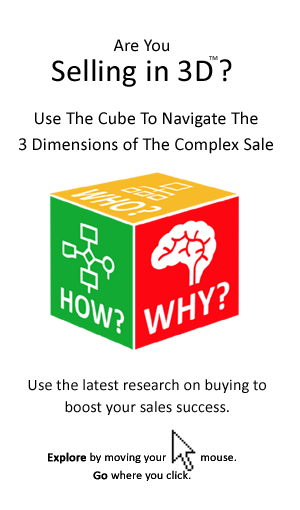 As a result buyers are looking for information that is more authoritative, impartial and comprehensive to aid the process of short-listing and selecting vendors. 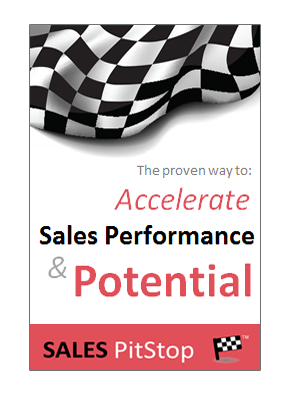 • Ask your customers if they have read or considered analyst reports in purchasing your solution / similar solutions. • Review what analysts have to say about the solutions you are supplying – have they profiled any of your competitors? • Check your competitor’s web sites and brochures – are analysts quoted? • List the thought-leaders in your industry – are analysts to be found among them? Even a small company that uses analysts right should expect to get 6-8 leads per annum from the source. The benefits don’t stop there however they use analysts (in conjunction with a number of other activities) to build their profile and level of brand awareness too. Are you considering working with analysts, such as Gartner, Forrester, Aberdeen or others again next year, or perhaps for the first time this year? Our clients have had mixed experiences in working with analysts – some good and some bad. One of our clients spent more than 25k in just 12 months with one of the leading analysts. What results did they get? Well, in their words ‘none’. In fact they suspected that it cost them business. When the analysts’ grid positioning their company alongside competitors was produced they were far from happy about how they were presented. They quickly realised that any potential customer who read the analysis would probably be dissuaded from contacting their company. What a disaster! So what went wrong? The client’s management team claims that they made the mistake of being ‘more honest than the competitors had been’, pointing out that x, y and z competitor simply did not have the range of functionality claimed. In fact they used the word ‘naïve’, as opposed to ‘too honest’ to describe how they themselves had briefed the analysts. A key lesson is that analysts need to he helped to analyze your product – you have got to steer them in the right direction. Plus you have got to see what the analyst is going to say before it goes to print. However, understanding why the analysts failed to deliver requires some further exploration. The key problem for the client was that the product and positioning they wanted to achieve was more of a promise that reality. While product development on the new features and functionality (so important to the analysis) was substantially complete, there were no valid reference sites. The customers cited as reference sites were using older more limited solutions and as a result it was on the basis of those that the analyst grid positioned the company. So another lesson is that what your customers say about you is very important in shaping what analysts will say. In the past, some analysts may have taken your word for it, now they want to hear from, or at least reference your customers. They want to talk about products that have been released and have been sold. So, there is not much point in approaching analysts until you are ready. • Having a clear and differentiated positioning for the analyst – a reason why his/her analysis will be incomplete without reference to your solution. • Selecting the right analyst – that includes deciding if you want one that is focused on the US or the UK (for example) on large companies, as opposed to small, generalist, versus specialist. Profiling the different analysts and reading their work is key here. • Prepare an analyst pack that contains not volumes of technical and related information, but readily accessible competitor tables, customer stories, product benefits, etc. • Position yourself and your company as an expert and thought leader in the space, don’t just confine your briefing to your company alone (analysts can probably get that from your website or marketing literature). • First, seek a briefing with the analyst and make sure you are on their radar (to do this you are going to need an elevator pitch that makes it clear why it will be worthwhile for them to talk to you). Then take it from there in terms of deciding what services you can avail of. • With permission from the analyst use their information on your website, send analyst reports to your customers and prospects, highlight it in publicity/PR, etc. What headings are relevant to your business and what information do you provide under each? In response to the influence of analysts, a number of alternative analyst models have emerged and though leaders on the web have come into their own. The need for more information on the part of buyers is being meet in part by new forms of web marketing, in particular online communities, user groups, blogging and so on. They may not be as glamorous as the heavily branded industry analysts, however they are playing an increasingly important role – just type in some key words into a search engine regarding your industry and see how prominently they are often displayed. So, if you are going to invest in analysts, don’t over look the more obvious methods of providing richer and more independent information to your customers.